Lori Loughlin rejected a plea deal in the college admissions cheating scandal because she never viewed her actions as illegal and felt that she was doing what any parent would do to promote their child's success, a source close to the actress has claimed. The Full House star and her husband Mossimo Giannulli are facing up to 40 years in prison for allegedly paying $500,000 to get her daughters into USC. Some sources have claimed that they turned down a plea deal which would have drastically reduced their sentences because they thought prosecutors were 'bluffing' when they said they could end up behind bars. One insider, however, says Loughlin is still coming to terms with the reality of her situation. 'It’s just taking some time for it to sink in that what she was allegedly doing could be considered illegal,' the source told People. 'To her, it wasn’t egregious behavior. Was it entitled and perhaps selfish? Perhaps. But she didn’t see it as being a legal violation. The source added: 'From the beginning, she didn’t want to take a deal, because she felt that she hadn’t done anything that any mom wouldn’t have done, if they had the means to do so. Another source claimed that Loughlin rejected the plea deal because 'she has been in complete denial and thought maybe she could skate by'. 'She refused to accept any jail time and thought the DA was bluffing. She was adamant she wouldn't do any jail time,' the insider told E! News. 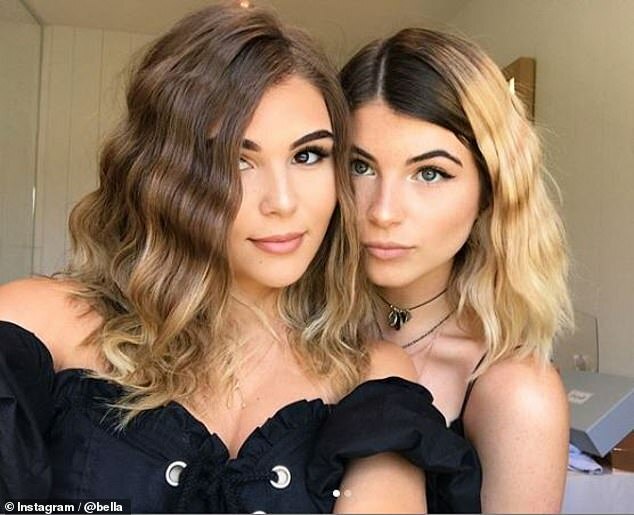 The actress was said to be 'fixated' on getting daughters Isabella and Olivia Jade into USC no matter the cost. On Thursday news broke that The Hallmark Channel had edited Loughlin out of When Calls The Heart, the show she appeared in. 'They really want to make sure that there isn’t this perception that these people are able to skate by because they’re rich,' a source told People.